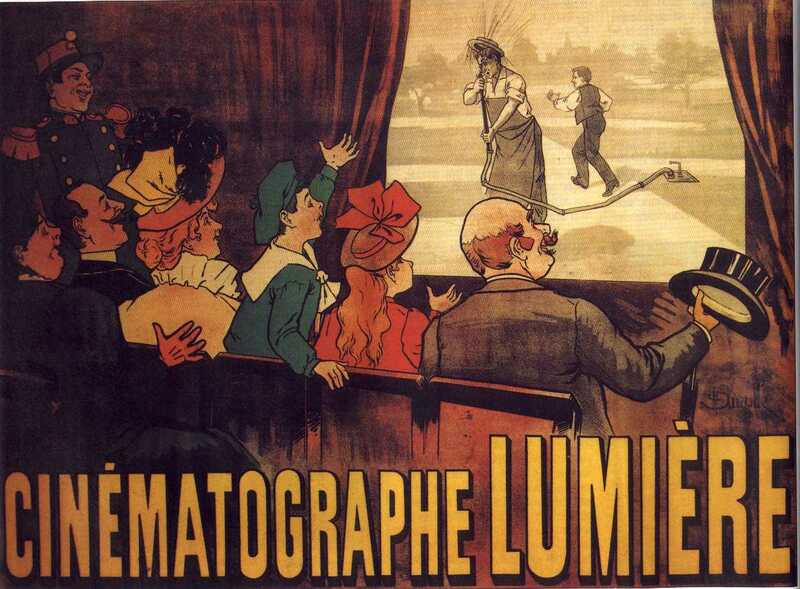 When Auguste and Louis Lumière unveiled their invention, the Cinématographe, at the Salon Indien du Grand Café in Paris on December 28, 1895, the art form of film was born. Prior to that, other inventors looked for ways to photographically capture motion in a commercially successful way but failed. Thomas Edison, for instance, hawked a device called the Kinetoscope that looked a bit like a View-Master strapped to a pulpit. It was big, bulky and, most importantly, offered an experience to a single viewer at a time. The Cinématographe, on the other hand, projected images on a wall, creating, for the first time ever, a movie audience. The Lumière brothers screened 10 short films that night, each running about 50 seconds long. They are, as you might expect, about as primitive as you can get. Basic elements of cinema like editing or camera movement were decades away from evolving into the cinematic grammar that we take for granted today. You can see some of those early films above. The Lumière brother’s first film was called Workers Leaving The Lumière Factory in Lyon (La Sortie des usines Lumière à Lyon) and that’s entirely what the short shows: a single static shot of dozens of men and women, all of whom seem to be wearing hats, leaving a factory for the day. It is a documentary in its most elemental form. Above is The Waterer Watered (L'Arroseur arrosé), cinema’s first comedy. It shows a gardener watering some plants before a naughty kid steps on the hose, cutting off its flow. When the gardener looks down the nozzle, the kid takes his foot off the hose and Bam! -- the world’s first example of someone getting punked on camera. And below you can see the Lumière's most famous early short, screened in early 1896. It shows a train arriving at a station. The camera was placed right at the edge of the platform so the train sweeps past the frame on a strong, dynamic diagonal. Legend has it that audiences thought that the train was coming straight at them and panicked. That’s probably not true but it did, for the first time, demonstrate the visual drama that can be created by a well-placed camera. Some 40 years after this, in 1935, Louis Lumiere was able to finally achieve what the Lumiere’s were trying to do in 1895. He shot this again, only this time in 3D. The effect on the large movie screen was much more dramatic and realistic.